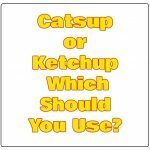 Home › Posts tagged vs.
Catsup or Ketchup – Which Should You Use? For those that wonder which of the two words to use when it comes to ketchup or catsup, this article can help. See which one of the two words is correct and which one you should use. Also, the history and origin of both of the words. 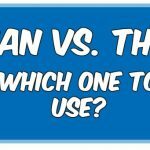 Than vs. Then – Which One To Use? For those having problems telling than vs. then apart and which one to use properly, this useful guide can be of great help. See why these two words cause so many headaches for people and how to make sure it does not happen to you. 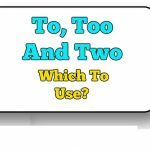 Tagged with: homonyn, homophones, than, then, vs.
To, Too And Two – Which To Use? Have you ever wondered about how to tell apart the homophones To, Too and Two? Then check out this very helpful article which tells you how to easily tell the 3 similarly spelled and sounding words apart from each other. Add vs. Ad – Which One To Use? 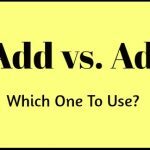 How can you tell the difference between add vs. ad and which one to use properly? Take a look at this guide full of tips which shows you how to tell them apart easily. Great tips to help differentiate both similarly spelled and pronounced words. Tagged with: ad, add, difference, misspelled, misspelling, misused words, versus, vs.
Stationery vs. Stationary – Which One To Use? 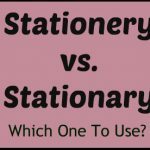 How can you tell the difference between stationery vs. stationary and which one to use? The answers are found in this guide full of tips and tricks to help you remember them both. Also, both words used in sample sentences for comparison. Tagged with: difference, stationary, stationery, vs. 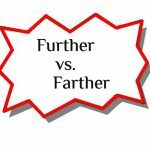 Farther vs. Further – Which One To Use? Take a look at this tutorial guide showing you how to properly choose between farther vs. further. See how to tell them apart and which one to use correctly in place of the other. Quick tips to help tell them apart easily. 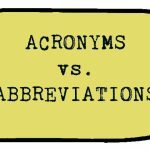 Here's all you need to know about acronyms and abbreviations. Take a look at this article which explains how to tell them apart and what makes each one what they are. 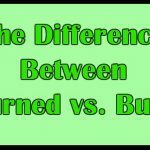 Tagged with: abbreviations, about, acronyms, vs.
Have you ever wondered how to tell the difference between burned vs. burnt? Many people are often confused about which of these two words to use and when, Find out the proper way to use each one. Tagged with: burn, burned, burnt, difference, vs. 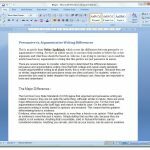 Looking for tips on how to tell persuasive vs. argumentative writing differences? Take a look at this article from Online Spellcheck. See the differences between each one and how to tell them apart.